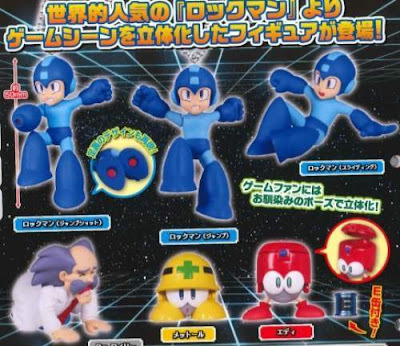 Hopefully they'll be more robot masters. I still need to get caught up on my figure collecting. People may roll their eyes at more merchandise news, but I think these new figures may be pretty good. Takara Tomy usually have some high quality stuff. The price seems right too, for eight figures. That is, if you'd be getting the whole set. Chances may be slim if everything is randomized. God dammit when I was getting into Mega Man I really didn't think I was getting into what would predominantly be a figure series. Who can we order this from? J-List? BBTS? AmiAmi? HLJ is the only retailer with them listed at the moment. It's very likely they'll show up at BBBTS, Ami Ami, etc. later. 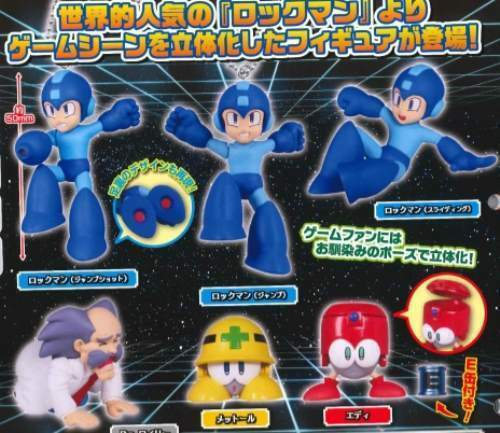 The Mega Man figures are such a waste of time, why not making Roll and Proto instead 3 Mega Man figures?. or maybe Bubble Man. He's just cool. I'm just glad we're still getting stuff at this point, the moment the merch etc stops is when you really need to worry! I'm not huge on the blind box thing but Wily & Eddie are nice additions.